Las Vegas is famous for a lot of things; clubs, casinos, partying, and so on. But did you know sin city has one of the tastiest cuisines you can find in the entire country? No? Well, now you do! 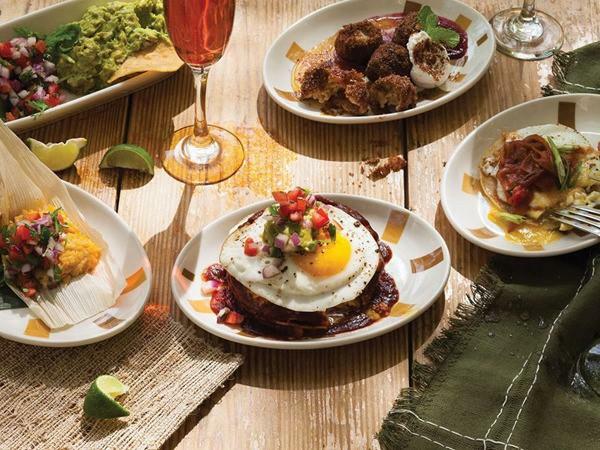 In Vegas, the menu choices are endless and the brunch culture is very much booming. There are tons of restaurants in the city competing for customers on a daily basis and they all offer the best and most sumptuous meals. Savory steaks, flaky croissants, finest of wines, and other international dishes are some of the meals choices used to entice hungry diners. 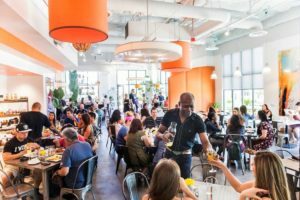 If you’re looking for the best brunch spots, or you’re just hoping to try out something new, here are five of the best brunch spots you can try out in Vegas! No worries, you can thank us later. This restaurant has the perfect mix of Jamaican and Mexican cuisine and of course the basic American cuisine. From waffles to jerk fried chicken, brunch in this bistro is more or less a feast. You can even be lucky enough to be at the restaurant when they host themed-brunches. Desserts like fresh strawberries, sautéed bananas and French toast are also served here regularly. Regardless of the dynamic brunch menu, you could always count having the time of your life at this spot. 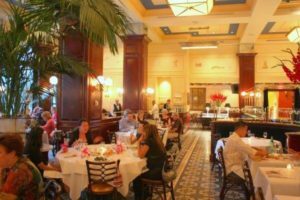 This elegant bistro is headed by Thomas Keller who was at a time named “America’s Best Chef” by Times Magazine. His cuisine choices cover a wide variety of dishes that will leave you smacking your lips all day long. 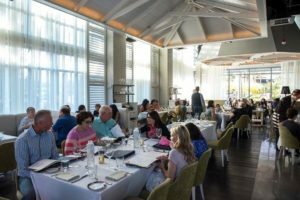 The beauty of this restaurant is mainly during the Sunday brunch, as light streams through the tall windows while guests are left to chatter over coffee and pastries on the patios. From French toast to oyster fountains, roasted chicken and bread pudding, the choices in this French restaurant are endless. However, be sure to arrive here on time as it fills up quickly. Little wonder it is known as the best French restaurant in Vegas. 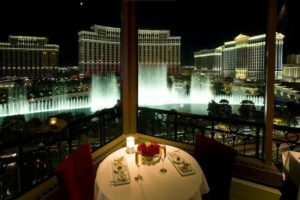 Get blown away at the top of the Eiffel Tower Restaurant for an indescribable experience of romantic ambiance, topped with the most dramatic view of the Bellagio Fountain. It is an amazing spot for a romantic dinner with your significant other or just a quiet night out with friends. It’s indeed an unforgettable experience for a perfect brunch, thanks to the French and American dishes served there. If you love seafood, then this is the best spot for you. 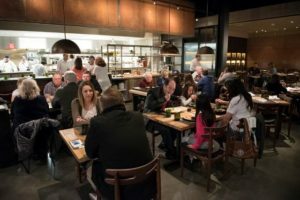 This stylish steak and seafood hub is home to all grilled, shucked, seared and roasted seafood. There are lots of side dishes, creative vegetarian menus, and lots more. The best part is that the brunch is complemented with the tastiest of red wines. Other meals on the brunch menu include French toast, shrimps, lobster rolls and other sumptuous tasting seafood. This brunch spot features almost everything you could think of; from breakfast burritos to calamari pizzas. If you’re craving anything from creamy to spicy or cheesy, this spot is your best option. You can eat as much as you want and even bring your furry friends to dine with you on the restaurant patio. After a long time of partying and having all the fun, there is nothing better than having a perfect brunch. So, get out of bed, wear some clothes and head over to any of these restaurants and take your taste buds on a festival of flavors. When you’re ready to party after brunch, turn to Turnt Up Tours for your chance to book a Las Vegas party bus tour. We’ll get you into some of the hottest clubs in Sin City.  Call (702) 843-0525 today to book your tour with us.